Dr.A.Govardhan is presently a Professor of Computer Science & Engineering, Rector and Executive Council Member, Jawaharlal Nehru Technological University Hyderabad (JNTUH). He served and held several Academic and Administrative positions including Principal (JNTUH CEH), Director (School of Information Technology, JNTUH), Director of Evaluation (JNTUH), Principal(JNTUH CEJ), Head of the Department, Chairman and Member of Boards of Studies and Students’ Advisor. He did his 10th standard from Z.P.H.S. Choutuppal in 1986, Intermediate from Andhra Pradesh Residential Junior College (APRJC), Nagarjuna Sagar in 1988, B.E. (CSE) from Osmania University College of Engineering, Hyderabad in 1992, M.Tech from Jawaharlal Nehru University(JNU), New Delhi in 1994 and Ph.D from Jawaharlal Nehru Technological University, Hyderabad in 2003. He is the recipient of 32 International and National Awards including Best Senior Scientist Award (2018), Dewang Mehta Academic Leadership Award (2017), Dr.Sarvepalli Radhakrishnan National Award, A.P. State Government Best Teacher Award (2012), Pride of Asia International Award, Best Principal, Bharat Seva Ratna Puraskar, CSI Chapter Patron Award, Bharat Jyoti Award, International Intellectual Development Award and Mother Teresa Award for Outstanding Services, Achievements, Contributions, Meritorious Services, Outstanding Performance and Remarkable Role in the field of Education and Service to the Nation. He is a Chairman and Member on several Boards of Studies of various Universities. He is the Past Chairman and Vice-Chairman of CSI Hyderabad Chapter. He is a Member on the Editorial Boards for Twelve International Journals. He is a Member on Advisory Boards & Academic Boards and Technical Program Committee Member for more than 80 International and National Conferences. He has 3 Monographs, and 10 Book Chapters in Springer, Germany. He has guided 82 Ph.D theses, 1 M.Phil, 135 M.Tech projects and he has published 525 research papers at International/National Journals/Conferences including IEEE, ACM, Springer, Elsevier and InderScience. He is an Editor for 4 Springer Proceedings. He has organized 4 International Conferences, 20 Workshops and 1 Refresher Course. He has delivered more than 100 Keynote speeches and invited lectures. He has Chaired 22 Sessions at the International/ National Conferences in India and Abroad. He has the Research Projects (Completed/ Ongoing) worth of Rs. 1.129 Crores. He has 24 years of Teaching and Research experience. He served as a Convener for TS ECET-2018, TS ECET-2017, Co-Convener for TS EAMCET-III-2016, EAMCET-2009 and Chief Regional Coordinator for TS EAMCET-2016, EAMCET-2010 and EAMCET-2011. 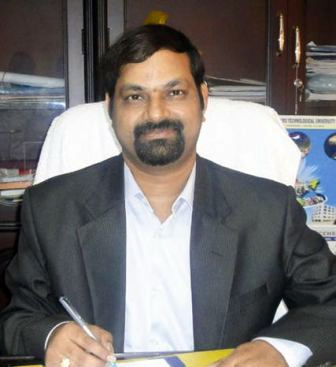 He has also served as Chairman & Vice-Chairman, CSI Hyderabad Chapter and IT professional Forum, A.P. He is a member on several Professional and Service Oriented Bodies. His areas of research include Databases, Data Science and Information Retrieval Systems. 2750 citations of various papers published.